A collection of the very best dance and club songs by Swedish-Lebanese singer Therése Neaimé that will be released 15th Of February 2019. – I am so proud about this EP. It is a compilation of my favorite dance songs, all with that unique Middle Eastern signature to them. I have always been proud to call myself 50/50 since I´m half Lebanese and half Swedish and it reflects my music in so many ways, says Therése Neaimé. Her music combines her Swedish and Lebanese heritage in a Scandipop/Arabic pop hybrid that really makes the dance floor go crazy. The singer-songwriter has released hit after hit and has enjoyed great success in the US, Europe and the Middle East over the years and charted on Music Week in the UK. Now she has collected some of her unforgettable tunes on a new EP – A Kiss From The Desert. – The song Best of me, for instance, is about me asking an old boyfriend for a second chance. It didn’t turn out to be the two of us in the end, but I have the song as a memory from our time together. Even more close to heart, literally, is her song Heartbeat. – I wrote Heartbeat when I was pregnant with my second child and every time I sing “I can feel your heartbeat” I think of when I was waiting and longing to welcome my daughter into this world. 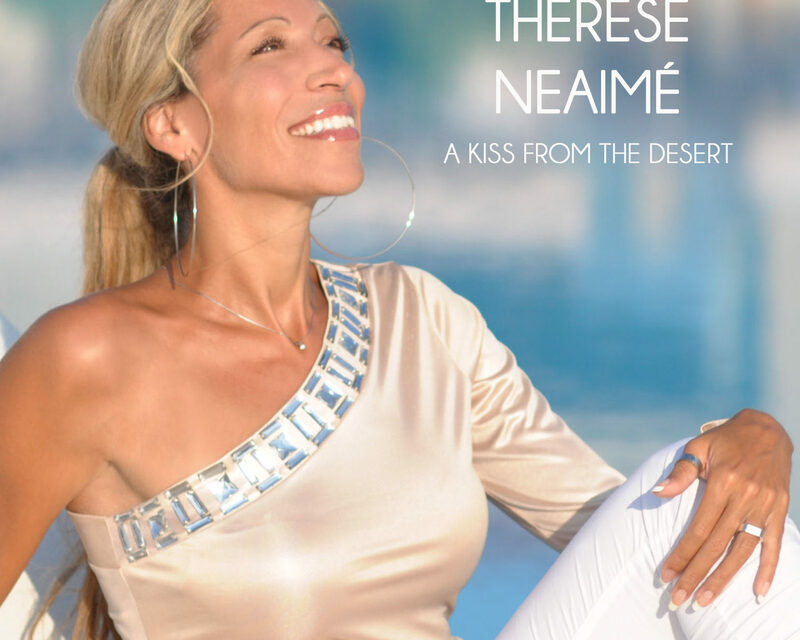 A Kiss From The Desert includes Therése Neaimé’s hits Lovers Lullaby, All I think about is you, Best of me, Heartbeat and How Could I. It also includes the bonus tracks Today is a holiday, the Maximilian Tux Remix that is played by radio worldwide and charted on Music Week top 40 in the UK, as well as her latest hit Dragonfly .